Looking over these garments, I'm really happy with what I've put together. An ongoing goal of mine has been to make more wearable, every-day clothes, and this is pretty much what you see above. I get a lot of wear out of pretty much all of these, and am even wearing one or two of these items as I type. This was definitely my year of men's sewing. Looking over these garments, I notice that we mostly focus on making the big statement pieces. I don't fully intend to sew every garment he wears, but making the most of out great-fitting pants and statement jackets and sweaters has ensured that these garments get worn a lot. It was fun to be able to use my sewing this year to make some fun and novelty presents for others. With the exception of the fries shirt, all of these presents were made from remnants or from fabric given to me by the recipient, meaning that my selfless sewing was also very economical! 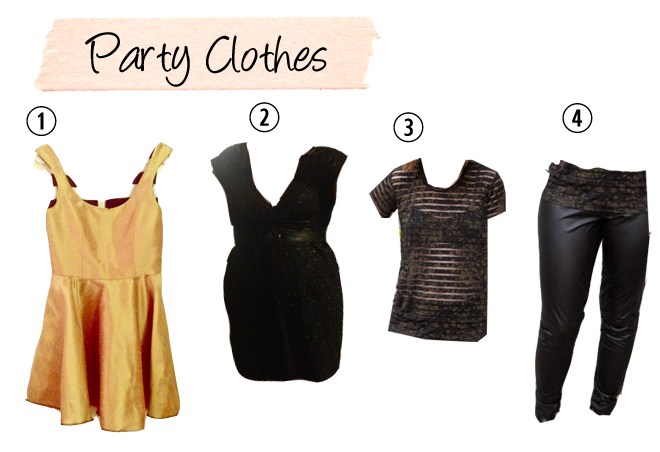 In 2011, many of my makes could be classified as party dresses. Around that time, I also vowed to make a lot fewer of them. Looking over my makes this year, I would say I have accomplished that goal: one Billie Jean for Vegas, a sparkly dress for my friend, and then two wearable basics that work great for a low-key night out. Needless to say, I get a lot more wear out of a dressy pair of pants than a dress! In the spring, I spent countless hours trying to make myself the perfect bra. I haven't really finished blogging about this, but I did finally make one that I wear all the time from a highly-modified Pin-Up Girls' Classic Full-Band Bra #1200. I hope to continue this quest in the year to come! The makes I didn't wear as much fell into two categories: pants that just didn't quite fit, and peplums that I never got quite right. While I wear my ruffled peplum all the time, I think there's something about the circle skirt part that I could never master with this style. And don't forget my first pair of pleather pants, which literally disintegrated the first time I wore them! 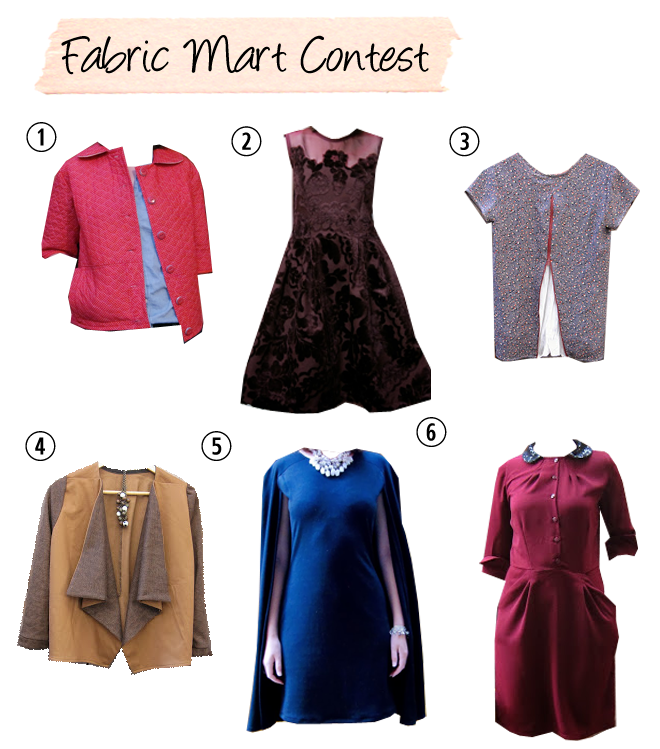 My biggest challenge of the year was the Fabric Mart Fashion Challenge. After seeing the Great British Sewing Bee, I was eager to try my hand at competitive sewing, and volunteered myself up for the challenge. I made 6 garments in the course of 5 weeks and came away absolutely exhausted, but very glad I did it. The challenge made me think a lot about fit, how I select my projects, and what I want to accomplish with sewing blogging. I also made some new sewing friends along the way! 2. Make a pair of underwear that are sturdy and wearable: this has kind of been accomplished... I ended up focusing a lot of energy and bra-making, with moderate success. I didn't tackle bottoms this year, but I think that is less important to me now. 3. Finish my sweater: accomplished! Not only did I finish my Whales Sweater, but I also knit my best garment yet, the men's Hugo sweater. 4. 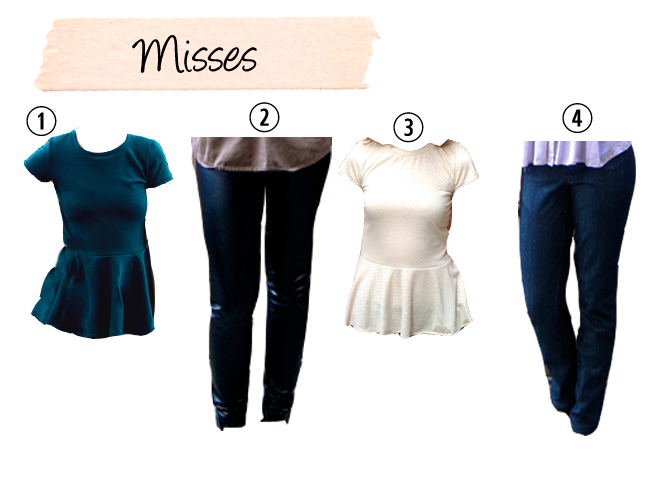 Clear out the mend/refashion bin: fail! Despite this being the one goal that I actually had in the back of my mind this year, I would say I only got about a third of the way through it when I threw out unwanted items after our move. There's still a few items in there that just need a few tweaks to work out, so I need to get on that in the new year! 5. One of my unstated goals for 2013 was to also be more sewcial. I accomplished this much more than I thought I would, testing out patterns for three different wonderful ladies, participating in a few fabric and gift exchanges, signing up for the fashion challenge, and even writing a few guest posts. I am so grateful for this sewing community! 1. Make work clothes and play clothes: Over the last few years I have tried to make clothes that straddle both the work and play lines, but have found that that leads garments that serve as pretty boring play clothes and not-quite-right work clothes. 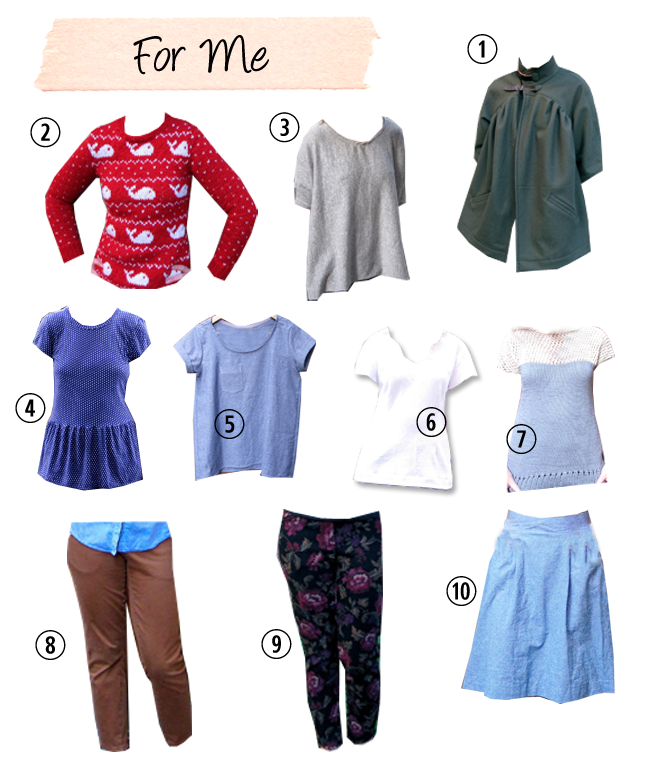 By separating out the two categories, I think I will actually have more wearable makes. 2. Take on another project: I am still very interested in bra-making, and would like to make a few more this year. Another project I am very interested in shoe-making. These are both fairly all-consuming projects so I will have to select carefully, but it would be great to master one of these or something similar this year. 3. Focus on fit: The fashion challenge made me focus a lot on how a garment fits and looks on me once I've made it. I'm already getting much better at my construction and seam finishes, and so I'd love to start really focusing on the appearance of the final product. 4. Be more selective: This year I was so eager to be sewcial that I took on a lot of projects. Some of them turned out to be really great collaborations, while others weren't quite my style. I also have trailed off my participation in many of the online sewing communities, so I want to reevaluate that. So my goal is to learn to work with others while still making things that work for me. If I had to make one more dress for that fashion challenge, I think I might have exploded! How has this year in sewing been for you?! 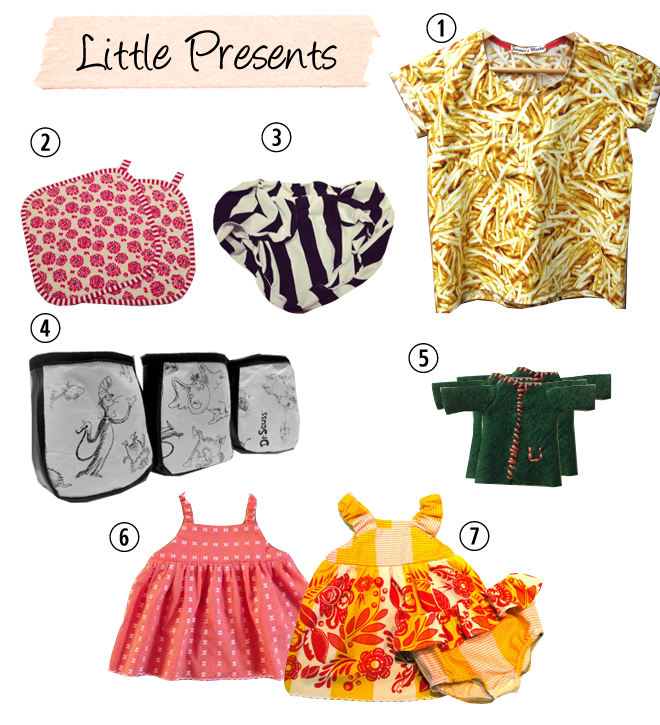 You made some wonderful clothes this year! I'm really impressed by how much you sewed for others and I'm still in awe over what you and the other contestants made for the Fabric Mart challenge. That was so intense! Have a wonderful 2014! Thanks Kelly for all your support this year. Happy new year!! Wow you have had such a productive year. I love your scout tee and your mens clothes look awesome! And you have made a foray into bra making. Great job for 2013! thanks angela! I was just reading up on your wedding and you've had quite a year, too! Glad to hear it worked well for you. My work is not super fancy at all so it took me a while to realize, but now I'm more motivated to try it!